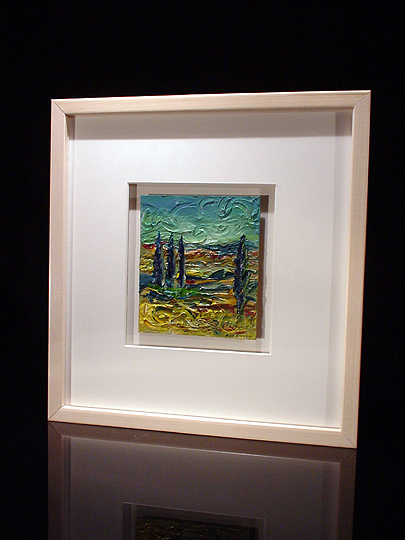 While Bob was visiting Umbria in the summer of 1999, he happened to run into an art critic from Toronto, who gave Bob the following challenge: Create paintings without using brushes. 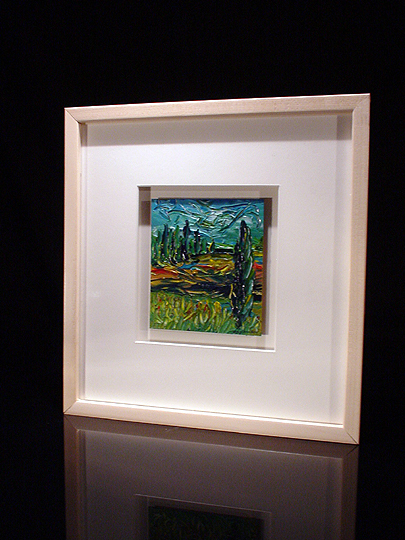 These impressionistic works are the result; Bob used palette knives, sticks, and his fingers when painting these small works. 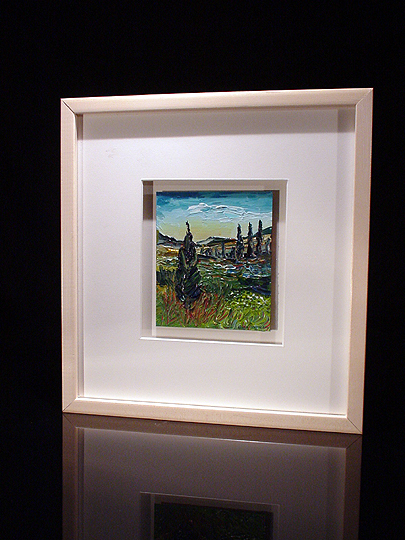 These paintings really remind me of the works of Vincent Van Gogh... in particular, Van Gogh's Sunflowers. This is definitely a different style for Bob, and he has gotten a lot of notice for these works. I acquired three works, and my Mom liked them so much, she bought one for herself. Going down the page, these works are Umbriascape 1, Umbriascape 2, and Umbriascape 3.